Jessica Dewar Yoga in Hawthorn East runs on a pretty unique system to many other studios in Melbourne. You pay as much as you feel the class was worth, or how much you can afford. It is the first in Melbourne to offer 100% donation based classes. By doing this, Jessica Dewar hopes to make yoga accessible to every budget and skill level and run a sustainable business in the process. After walking and driving past the studio several times over the past few months curiosity got the better of me (and so did my stiff body) that I signed to attend the Saturday morning 9:30 am Vinyasa Flow class with Nat. I've practised yoga on and off for over 10 years and I find that I really enjoy classes that include Vinyasa Flow. Mainly because the movement is like that of surfing, you practice balance, and that I get a great stretch through my shoulders and back. At Jessica Dewar Yoga they offer a range of styles from Yin to Kids, Seniors to Hatha. There is also a four-week beginner's program for those just starting out. Walking through the door and taking off my shoes, there was a rather comforting vibe within the space, I walked up the stairs to find a lovely bright room filled with lots of natural light. It's a simply decorated with a few plants around the room, it is warm and welcoming. I also noticed a lovely pot of tea was available for guests to enjoy. Outside it was a chilly 12 degrees, so the heating was on. I brought my yoga mat along with me, though if you don't one you can hire one in exchange for a gold coin donation. The class went for a full hour starting with a gentle warm-up and working through the Vinyasa Flow, we worked up to Warrior 1 and Humble Warrior. For me, I did find it a little warm with the heating, but I also know that I'm comfortable with cooler temperatures, for others in the room it may have been just right. Near the end of the class, we practised balance and inverted positions which I thoroughly enjoyed. I liked that we used the stretching strap as I only recently just bought one, so now I have something to practice. Last but not least we did some meditation to end the class on. During the class, I felt challenged, safe and that some of my tight spots were loosening up. Now the big question, would I go again? Yes, I would. There were good vibes all around and I felt that I left the class more flexible than I did when I arrived. 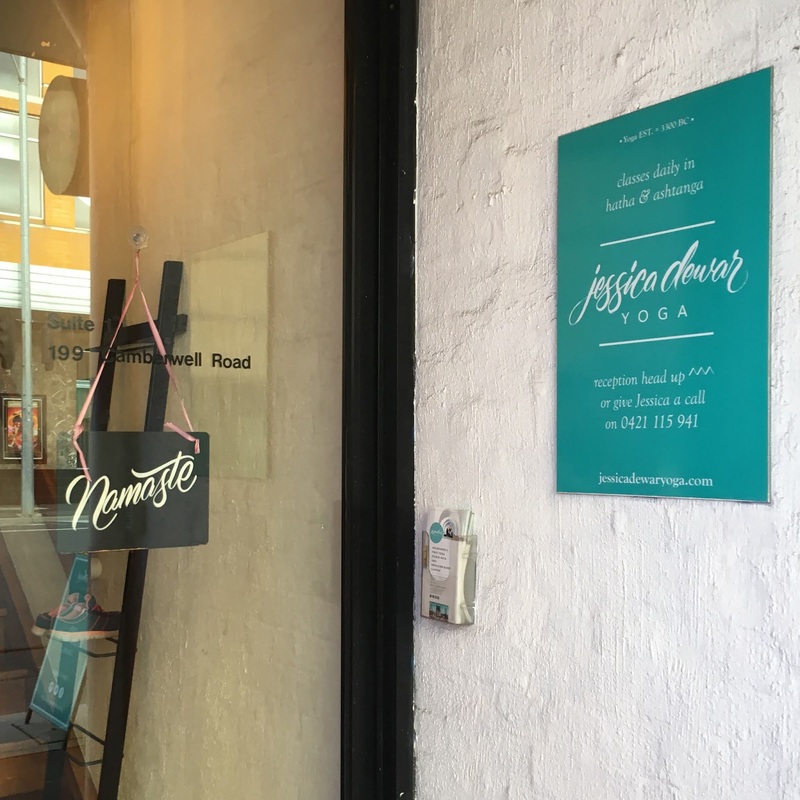 Jessica Dewar Yoga offers a range of yoga styles with classes held every day of the week. Click here to view the class schedule, or call Jessica on 0421 115 941 for more information. I paid to attend the class and this is not a sponsored post. Gorgeous and welcoming yoga studio. The beginners classes set me up for my yoga practice. Absolutely love going to Jessica Dewar studio classes!